To the right of the daily report, you will see a magnifying glass. To the right of the daily report, you will see an arrow pointing diagonally right that says 'EXPORT' when you hover over it. Click on the 'EXPORT' button. 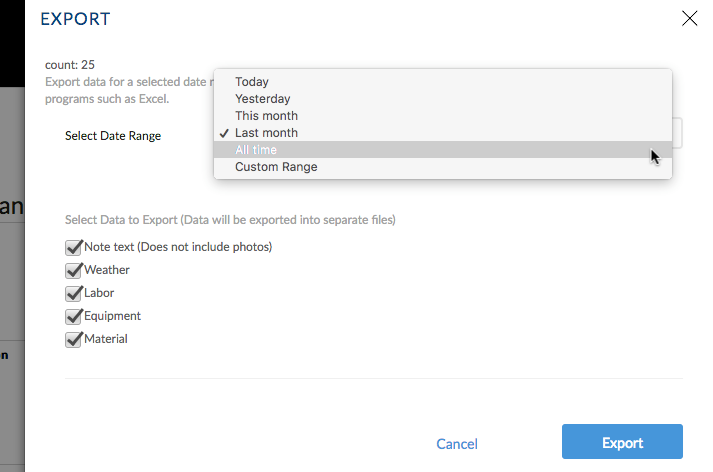 Select the date range you wish to export your notes for. Select all the data you wish to include. Click the "Export" button when you are done. A .csv file will then generate will all of your project data.